Marinating suitable number of workstations to support the use of IT services like computing, printing, scanning, photocopying and internet etc. The CUI Lahore Library is functioning as Information Resources Center for the campus community and provides a wide range of up to date information through different kind of materials. All faculty, staff and students are encouraged to make full use of the available resources. Currently library has more than 15,000 hardbound volumes on different subjects such as , Management Sciences, Economics, Computer Engineering , Telecom Engineering , Computer Sciences , Physics Mathematics , Architecture and Design ,Bio-Informatics Sciences, Social Sciences ,English ,Urdu ,and Islamic Literature. The library has open shelves collection with vide range of variety on books, Audio-Visual Material, CDs, DVDs, Data Bases, News Papers, National and International Journals / Magazines, Thesis, Projects, Company Reports and many more. Latest terminals with internet facilities are available for library users to access the OPAC and e-Resources. The Library also have the reference material in different formats like Encyclopedias , Dictionaries, Atlases, Year Books, Hand Books for reading and research purposes. The CUI Lahore Library is providing services to it users with the aim that "Right Information at Right Time". Our on-line services such as current awareness and Journal Content Services are the benchmark of CUI Lahore Library. Well-trained library staff is always there to give services to the library patrons. I welcome you on our official site. Please access the links and explore the world of knowledge. In last but not least, I would like to pay my thanks to the CIIT Software Engineers particular Mansoor Sheraz for designing and developing of this site. Mansoor is very expert software engineer and skillful professional. 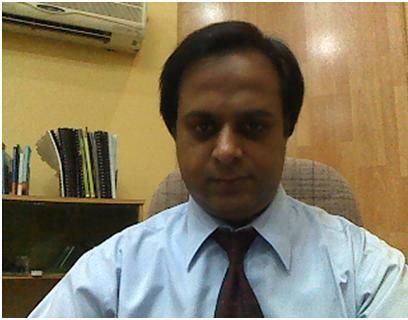 For customization and installation of social networking links of the site, the services of Mr Ata-ur-Rehman, Manager Library at National Center for Physics (NCS) are noteworthy. He always obliged us with his technical guidance and support. Last but not least, the library staff particularly Ms Ambreen Naz, who has done this assignment very amicably.